Today we did one of our favourite walks. One that anyone who stays with us for any length of time will inevitably be treated to. It’s quite well known in the area, and popular too in the summer when the woods are full of wild flowers, and deer and birds are easily spotted. Now of course it’s the soggy fag-end of the year, but we like it at all seasons, and enjoy the spare winter landscape as much as summer’s pomp. It is simply known locally as “The Three Churches”. (Click on the map for a larger version). Moulton is a village with a large green and a pleasant open character. It is noted for its 15th century Pack Horse Bridge on the old Cambridge to Bury St Edmunds packhorse route. Its low parapet walls enabled the packs to swing clear and avoided the need for a wider, more expensive structure. It can still be used to cross the River Kennett, although the adjacent ford has been concreted over and the water now flows through a culvert underneath. ‘Elf & Safety I suppose. Our route starts at the Kings Head, next to the Packhorse Bridge, from where we turn right along the path or road (you have a choice on either side of the River Kennett) to reach St Peter’s Church. You can tell it is a St Peter’s, as the weathervane is in the form of a large golden fish (St Peter was a fisherman, y’ see). Our walk takes us past the church following the river, crossing a small road and on across fields to Dalham, where we find the next church – but not before dropping in to the next pub, the welcoming Affleck Arms. Back in February 2002 we called in here on a Sunday walk. Princess Margaret had died the day before, and as a celebrated smoker and drinker throughout most of her life, her passing was honoured with a “Princess Margaret Special” – a discount large G&T accompanied by a free Benson & Hedges cigarette. We drank to her memory and enjoyed the free smoke. Some people tutted, but I don’t think she would have minded. Turn left from the pub and pass the curious conical building (which is an old malt kiln). Through the little iron kissing gate on the right and then uphill to the hall between the Horse Chestnuts that form one side of the splendid double avenue that frames the house. Next to the Hall is St Mary’s church. It’s worth looking up to the top of the tower, where in flint flushwork are these words “Keep my Sabbaths, Deo Trin Unum Sacrum, Reverence My Sanctuary, 1525”. Sound advice to the brawling denizens of Dalham. Turn right and walk along the road, ignoring the right turn signed “To the Main Road”, up the slight hill and take the signed footpath left through a wood, on along a field edge and then left into Blocksey Wood where the path continues through Bluebutton Wood and on to Gazeley, and the last of our three churches, All Saints, and, incidentally the Chequers pub. On the way you may see some waymarks with a stone axe symbol. These represent the “Icknield Way” long distance path which forms part of our route here. It's a very popular part of many routes - as this waymark post shows! As we walked through the woods, evidence of approaching Spring was there to see in the catkins on the hazel coppices, and the first snowdrops peeking through. Through the churchyard a path leads between stud farms with some wonderful (and fabulously expensive) horses in the paddocks to a minor road where we turn left to descend back to Moulton, diving through a hedge for a diagonal path across fields and down steeply through trees to emerge into the churchyard at St Peter’s once again. Although not very high, we are high on the tops in East Anglian terms when we reach the road. On a clear winter’s day from here and the upper part of the field path it is possible to see Ely Cathedral, a full 15 miles away. So there you have it. If you’re down this way, give it a spin. You’ll visit three very pretty villages and have 6.5 miles of pleasant walking - with three pubs and less than 100 metres of gentle ascent. Perfick! Catkins - Spring is on the way! I've not written much recently, mainly because I've not been out and about as much as usual. The reason has been a few months constant nagging pain under the ribs interspersed with a few eye watering nights of absolute agony. Having recently got over surgery, radiotherapy and drug treatment for prostate cancer, the onset of these symptoms was slightly worrying. Was there something unwanted in there? I didn't really want to know. However, a visit to the Doc produced a cheery diagnosis. "Gallstones", he said. "Pop along to the hospital and have a blood test and scan to make sure, but gallstones are what they'll find, I'm sure". And so they did, and before you could say "knife" (ha ha) I was having a chat with a surgeon. "Oh, we'll have that out in no time - very straightforward"
"Er, have what out exactly?" "Your gall bladder. No need for it. You won't miss it"
"Um ... surely it's there for a reason ... ?" "That accounts for a lot", snorted Miss W.
"It only takes 40 minutes - you can come in the morning and be back home in time for tea if all goes well". "Will I be able to eat pork pies again?" "Not what a dietician would recommend, but yes. Anything you like really". He was as good as his word. I arrived at the Day Surgery unit at 8.00, and by 1.30 Miss W was whisking me home and complaining that my early discharge had interrupted her lunch. She never finished it anyway, being rather put off when I produced the jar of stones that the surgeon had given me as a souvenir. The rest of the treatment has simply been a week or two taking it easy. I'm not that good at taking it easy, so Miss W directed me to take my cue from the Doodlecat, for whom relaxation is an art. "Join him on the settee", she said. One of the leaflets "Natural pain relief" recommended distraction therapy, and one of the distractions was 'stroking a pet'. I don't know what idiot wrote that leaflet, but 15lb of solid cat leaping onto a perforated tum and giving it a good kneading does NOT take your mind off it! Let's face it, the Doodlecat is quite a large cat - in fact the settee in my office scarcely accommodates him. However, his example of how to relax cannot be faulted, so I have spent a few days in a similar pose (on my own settee as I got attacked trying to share his). I have now been out for a few short walks, and I'm pleased to report that all the internal bits and pieces have settled down nicely, despite the Doodlecat's best efforts at rearranging them. Plus, during my enforced 'no fat' diet whilst waiting for the op, I've lost 10lbs! Now weighing in at a sylph-like 11st 10lb, though I fear that the yummy pies and cheese butties are swiftly undoing the good work there. I need to get out for a bit of exercise. Firstly a few local expeditions with the dogs (we do volunteer dog walking for a charity) and then I'll be ready for a proper day out. I rather liked Llangollen, so it looks like I'll be headed there again before long, especially now there's a bit more daylight to play with. But the best part of the whole thing is being back to pain free consumption of pies and pastries - washed down with the odd healthy fat-free ale of course. 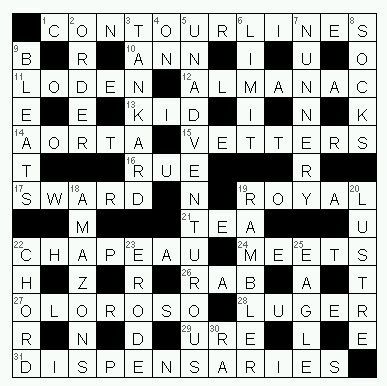 The Doodlecat Christmas Crossword competition has a winner. The draw was conducted under "strict supervision" from Miss W, and the first correct entry drawn was from Chris Peart. Well done, Chris - your prize is in the post. Well done and commiserations to all the other correct entrants. But I bet you're curious to know how you did. Thought so .... OK, the correct solution is below. There will be another - but not until next Christmas. Have a great New Year!